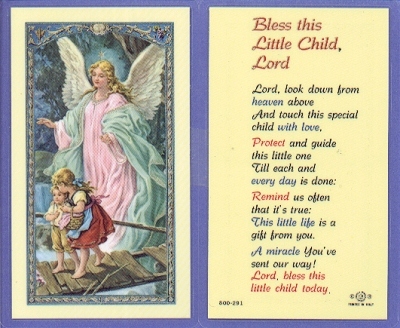 Laminated Holy Card with an image of a Guardian Angel protecting a child and, on back, the Bless This Little Child, Lord prayer. Approx. 2-5/8 x 4-3/8 in.